Former Prime Minister of Italy Silvio Berlusconi (Toni Servillo) is going through a difficult moment in his career after leaving the government, with many cases of corruption and alleged relations with the mafia behind him. With an eye on the arrival at the courts of these cases, Il Cavaliere is not deprived of its excessive way of life, full of parties, women and all kinds of extravagances. This is used by Sergio Morra (Riccardo Scamarcio), a man who has made a living with questionable business and who is determined to take another step in his career, and who does not hesitate to approach Berlusconi, the most powerful man in Italy, to get it. Biopic inspired freely in the life of Silvio Berlusconi, directed by Paolo Sorrentino. Write your own 'Loro' review. The original title of the movie, 'Loro', means "them" in english, but is also a word game: l'oro means "the gold". Although in the other countries has been released as a single film, in Italy this film has been divided in two parts: 'Loro 1' and 'Loro 2'. 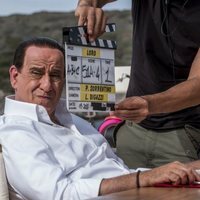 This is the fifth time the actor Toni Servillo works with the director Paolo Sorrentino after: 'L'uomo in più', 'The Consequences of Love', 'Il Divo', and 'La Grande Bellezza'.